This sleek contemporary sofa will look great in your living room. 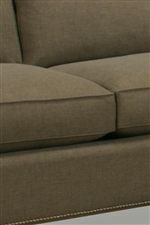 The piece has two plush back cushions and two box seat cushions with welt cord lining that are comfortable to lounge on. The track arms give it a clean, modern look. Supporting the chair are tapered wood legs that add to the clean, trendy look. 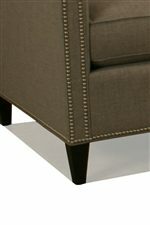 Adding a final touch of style are optional nailhead trims. 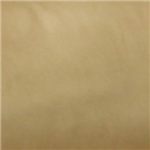 Available in a variety of fabric, leather, and colors, this piece will blend easily with your home decor. The 1059 Upholstered Stationary Sofa with Track Arms by McCreary Modern at AHFA in the area. Product availability may vary. Contact us for the most current availability on this product. Fill your room with comfort, style and a modern vibe with the 1059 collection. This collection consists of a sofa, chair and ottoman that are designed with fashion and ergonomics in mind for a great living room experience. Giving it that contemporary sense are track arms, tapered block legs and welt-cord detailing around the box cushion edges. 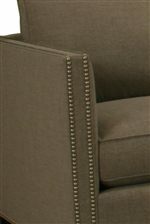 Also available is the option of nail-head trim which adds a nice detail to the collection. The collection is also available in multiple fabrics, leathers, and colors, which provides you with endless possibilities! The 1059 collection is a great option if you are looking for furniture in the area.